OverviewThe web-slinging, joke cracking, Spider-Man is back. 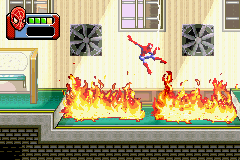 The third game in the movie tie-in series sees Spider-Man battle more foes than ever and even get a new makeover, and of course, it offers plenty of swinging around the city. Now you can add videos, screenshots, or other images (cover scans, disc scans, etc.) 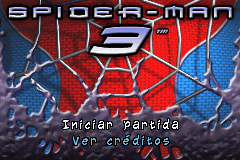 for Spider-Man 3 (S)(Independent) to Emuparadise. Do it now! 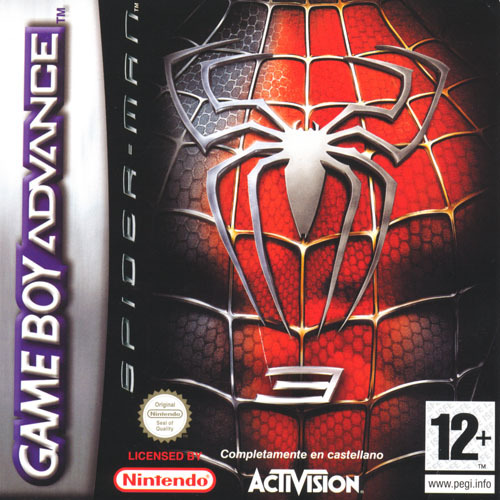 You have the option of playing Spider-Man 3 (S)(Independent) in your browser, right here at EmuParadise! No need for any software, no installations required, all you need is a fast enough PC and a browser with Flash support. This is great if you're on a PC with restrictions on software installations or want to secretly play at work. |     | release date..: 09.05.2007          store date.....: Who Cares? |     | Is he strong? Listen, bud. |     | He�s got radioactive blood. |_    | no-intro 2oo7 - "Surviving the death of the GBA"